On September 14, Belarusian Chamber of Representatives has set the date of the presidential election in the country. All present 108 MPs unanimously voted for this date. 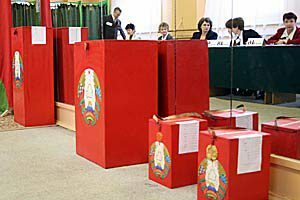 According to the Belarusian Constitution, the presidential election is set by the Chamber of Representatives earlier than 2 months before the expiry of the term of the current president. The presidential term of Lukashenka finishes on April 6, 2011. Prospective presidential candidates are to file applications for registration of initiative groups on September 24 at the latest. Last week, official results of the last, 2009 national census were released. Population of Belarus decreased from 10 million (1999) to 9.5 million (5.4% during 10 years). It was caused by falling birth rates and population in general is getting ever older. Thus, average age of Belarusians increased from 37.1 to 39.5 years. Such trends are rather common for European countries. Quite unexpectedly, the most sharp decline in numbers affected ethnic minorities. Number of Russians fell by a third, by 31.3% (from 1.1 million to 785 thousand), Polish – by 25.5% (from 396 to 295 thousand), Ukrainians – by 33% (from 237 to 159 thousand), Jewish – by 54.6% (from 28 to 13 thousand). Belarus is clearly becoming a monoethnic nation. 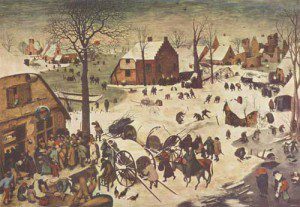 This process started in early 20th century and went on throughout the Soviet period. So, just a century ago in Belarus along the Belarusian ethnic majority lived many numerous minorities – most importantly Jews, but also Polish, Russian, Ukrainians, Lithuanians, and Germans. Recognizing this fact, the Belarus Soviet Socialistic Republic even declared and promoted in use in 1920s four official languages – Belarusian, Polish, Jewish (Jiddish) and Russian. But such multicultural coexistence ended with the changes in Soviet ethnic policies and Second World War. Unification of ethnic structure, nevertheless, did not cease and is apparently continuing. Yet one of the most shocking findings concerns dramatic decrease in numbers of people claiming Belarusian language as a mother tongue. Among general population of the country this number fell from 73.6% in 1999 to 53.2% today. Among the ethnic Belarusians this number now amounts to 60%. However, it could probably be caused by reformulating the language question in the census questionnaires. While earlier it was just a question of mother (native) tongue, this time it was specified as a language learned by a person first in childhood. Such change was a result of technical consultations provided by UN population experts to Belarusian government. Such definition is promoted universally by the UNESCO which apparently did not think of political implications it would have for standing of Belarusian language in the country. Since, after all, opponents of revival of Belarusian language – including current official leadership of the country – can now misuse these statistical data for their public rejection of the language.